Sony launched the Xperia M4 Aqua Dual smartphone in India for a price of Rs. 24,990. This is a dual SIM smartphone and supports 4G LTE Connectivity also. The handset will be made available in white, black and coral color options. 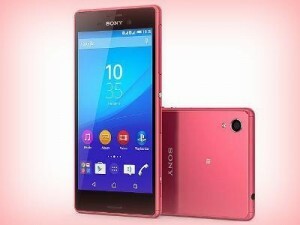 Mumbai: Sony Xperia Aqua dual handset supports 5 inch display with 720 x 1280 pixel resolution. It weighs only 135 grams. It has a powerful octa core Qualcomm Snapdragon 615 processor whose clock speed is 1 GHz. The processor is coupled with 2 GB RAM which promises better performance. Internal storage is 16 GB and there is facility to expand memory up to 128 GB via micro SD. It comes equipped with 13 megapixel primary camera and 5 megapixel front facing camera. It runs on the latest Lollipop version of Android operating system. It supports Bluetooth and WiFi connectivity. This dual SIM smartphone has 2400 mAh battery under the hood. The primary camera of Sony Xperia M4 Aqua Dual comes with image Sony Exmor RS mobile image sensor. The 2400 mAh battery is expected to deliver 13 hours of talk time and 779 hours of standby time.